Inspection and treatment. Our professional team of experienced bed bug removal technicians use the latest technology available for fast and immediate results. Bedbug covers and traps are available for purchase. The use of dogs to detect any bedbug problem in one or multiple apartments. First step will be a thorough inspection of the premises to locate any visible entry points. Second step we will dust or bait the entry point with a rodenticide to rid of vermin. Third step we proceed to seal the opening. Traps and or bait will be placed thru out the premises to catch or get rid of any remaining rodents. 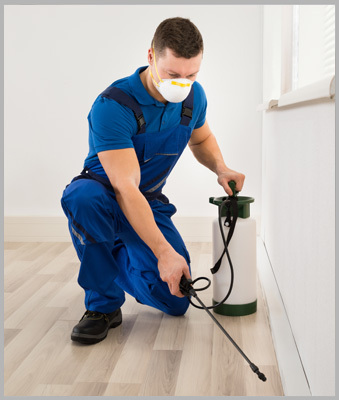 A heavy treatment consisting of multiple products to rid of pest. Baits, gels, sprays, traps, aerosols. The use and applications of non-toxic insecticides. Live capture, removed and relocation of raccoons, possums, squirrels, and more.